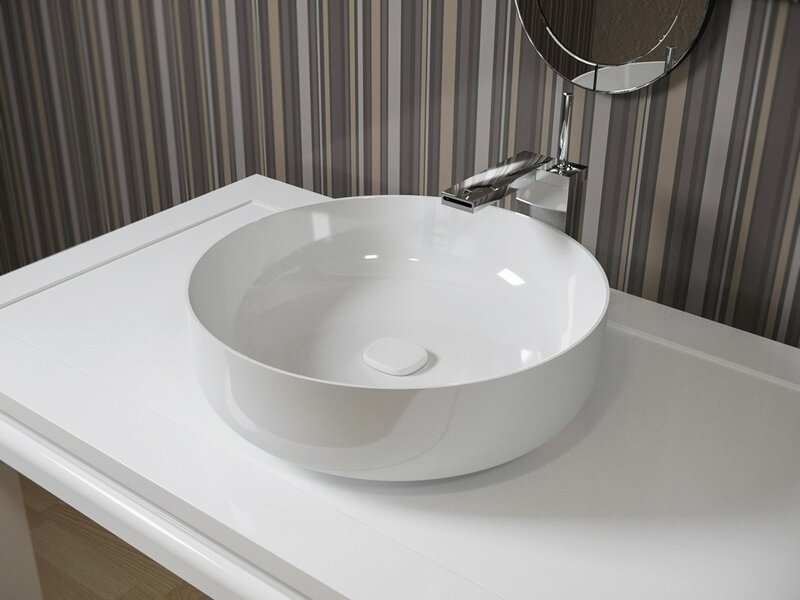 With Aquatica’s brand new White Round Ceramic Bathroom Vessel Sinks, you can now completely revamp your bathroom into a contemporary and chic haven! Aquatica’s exclusive freestanding bathroom vessel sinks will bring a worldly characteristic appeal to your bathroom’s décor. With a sleek white inner and outer finish, this round bathroom sink is simple and easy to clean and superbly functional, as it has very low moisture absorbency and, is completely stain resistant. Created and designed by our top class designers in Italy, you’ll be able to separately buy the drain for this unique round bathroom sink from Aquatica.